mini kids buffet « Michele with Just Marry! Yes, I said kids. 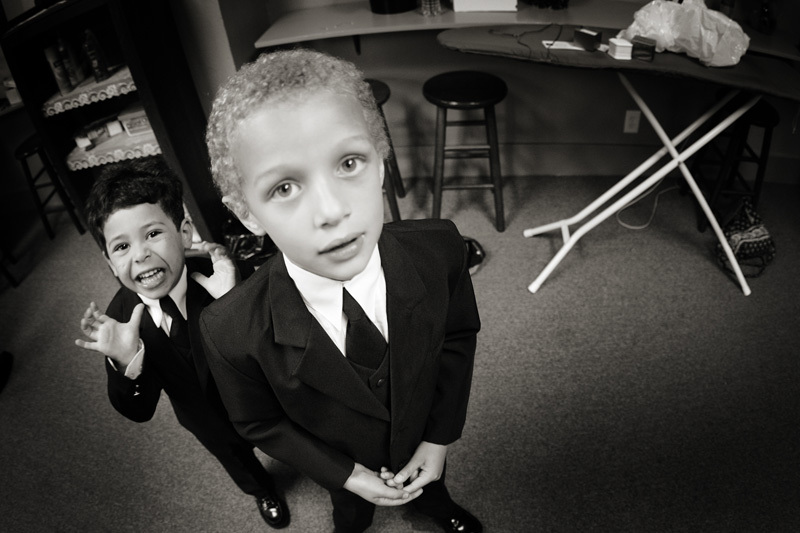 I love kids at weddings. Well behaved ones, of course. Those are usually attached to caring and in control parents. One of my favorite parts of a wedding ceremony is when the kids walk down the aisle. They are just so adorable and you really never know what they will do. But, there will most certainly be laughs, Ooh’s and Aah’s. They will break the tension and they are great at helping the bride relax and get into a festive mood. 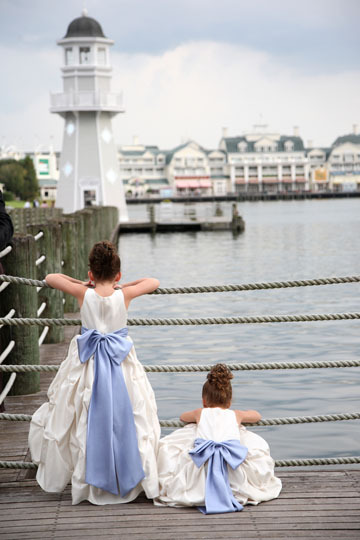 And I really love when the bride and groom really think about the kids experience at the wedding. Great things come of that. Well, mostly, happy kids. 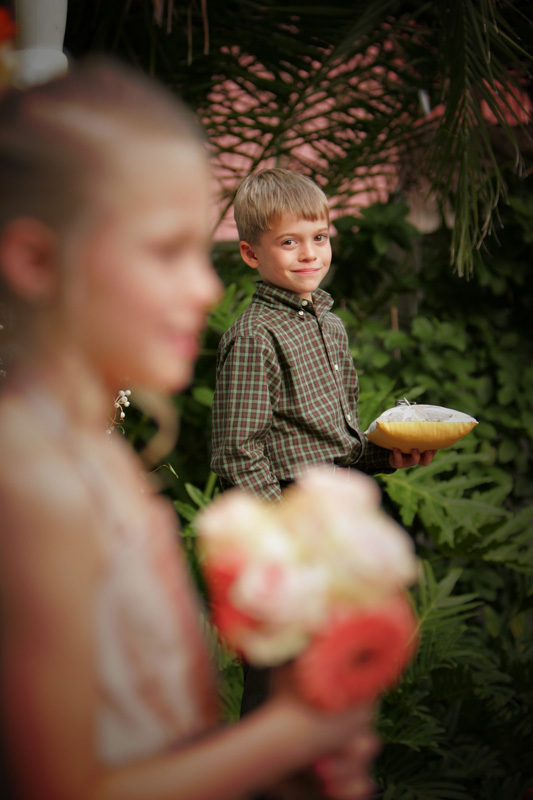 Here are some neat ways to make kids feel special at the wedding. 1. 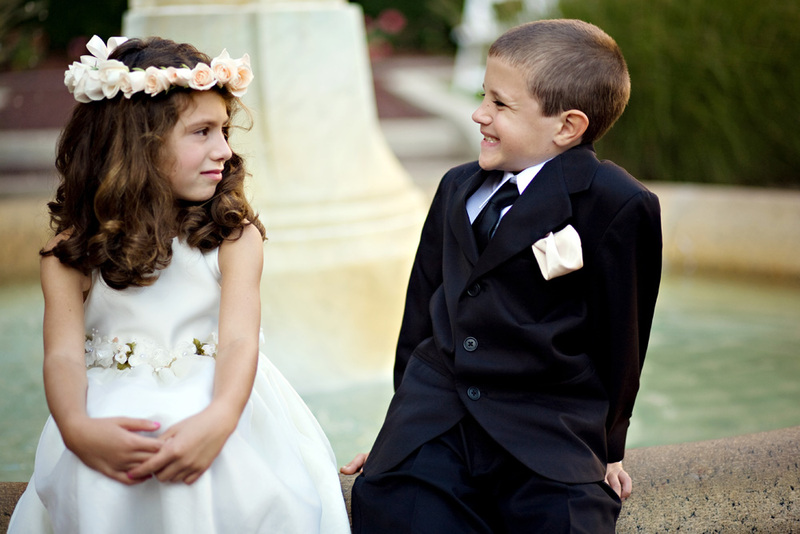 Include them in the ceremony, whether it be as a flower girl, ring bearer or JR bridesmaid or groomsman. 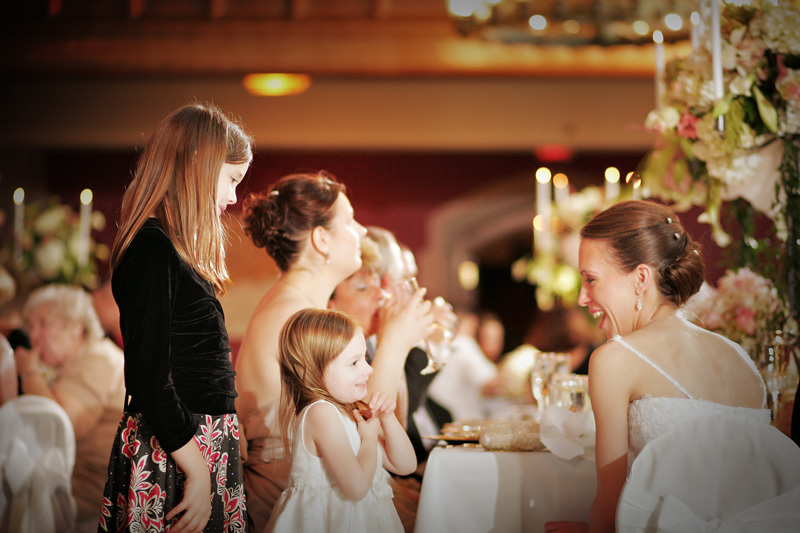 They can also be helpful in attending to the guest book or handing out programs. 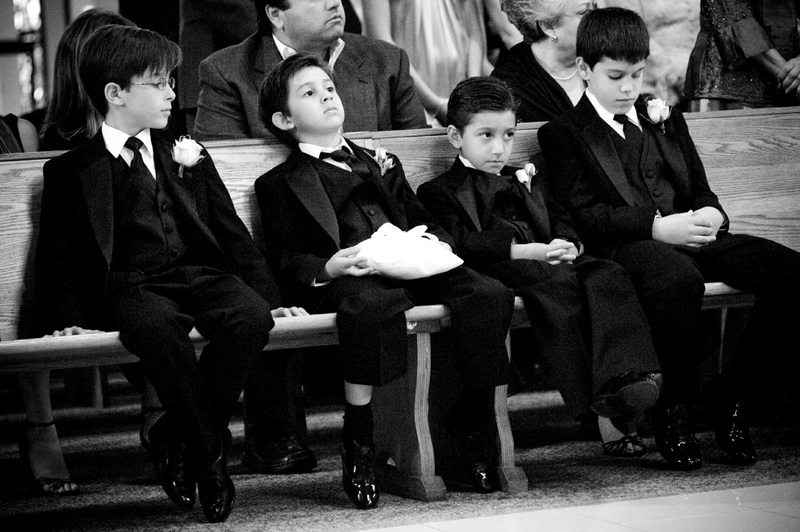 If you have young kids involved in the ceremony, be sure to have somebody for them to sit with during the ceremony. 2. Arrange for a kids party complete with activities and their own kid friendly food. You can have a clown, video games, their own DJ for music and games. How about a caricature artist to draw pictures of the kids? 3. Keep them as part of the main reception party, but give them plenty to do. After all, their kids and they have such short attention spans. The best option is a kids table complete with butcher block paper and coloring crayons, pencils and markers. A kid friendly centerpiece completes the look. Create a mini kids buffet with some of their favorites. What about a make your own sundae bar or a decorate your own cupcake? If the kids will be seated with their parents, then be sure to give them a goody bag filled with some fun things to do when they get bored dancing! Thanks so much to some of my wonderful photographer friends who gave me the following images. I had such a hard time choosing, so I’m afraid this post may be a bit image heavy. Kids take the greatest photos! Images from Scott Watt Photography. Images from Abby Liga Photography. Image from Derek Smith from Sunshine Photographics. Images from Michael Wise Photography. Images provided by Limelight Photography.